A Federal Grand Jury has subpoenaed records from the Cuyahoga County Medical Examiner's Office dealing with the deaths of two county jail inmates last year. CLEVELAND — A Federal Grand Jury has subpoenaed records from the Cuyahoga County Medical Examiner's Office dealing with the deaths of two county jail inmates last year. According to copies of the subpoenas obtained by 5 On Your Side Investigators, the requested records surround the Aug. 28 death of Joseph Arquillo and the December death of Brenden Kiekisz. Investigators said Kiekisz was found hanging in his cell on Dec. 27, 2018. When he died a few days later, he was the eighth Cuyahoga County Jail inmate to die that year. Medical examiners said Arquillo had heroin, fentanyl and cocaine in his system. His death was ruled an accident. A longtime jailer was fired by the county after investigators say he failed to conduct mandatory checks of inmates and then falsified records the day Ariquillo died. 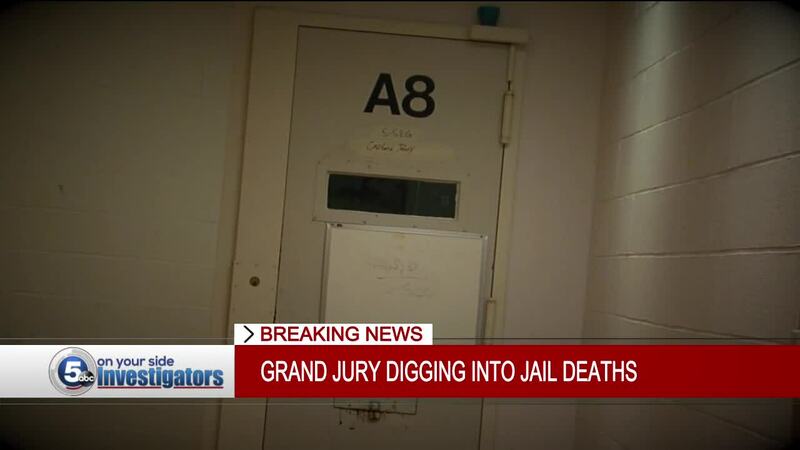 The subpoenas aren't the first time investigators have sought records surrounding jail deaths. The search warrant served during the February raid of Cuyahoga County Executive Armond Budish's office sought "any paper or electronic files in the possession of Armond Budish relating to criminal investigations conducted by the Cuyahoga County Sheriff involving deaths or assaults in in the Cuyahoga County Jail." In it's damning report of conditions inside the jail, a US Marshal's review team found last fall that jail staff did not conduct mortality reviews or debriefing reports after deaths, and that other required documentation was not maintained despite county policy.